There's something about mini food that's just irresistible. Call it grazing, shared platters, mini bites or tapas – small versions of widely-loved main dishes continue to grow in popularity. Caterers have known this for years, of course, with bite-sized versions of virtually everything served at events across the country. It seems, when it comes to consumers’ appetites, little is big. But that doesn’t mean that caterers have a monopoly on the bite-sized market. Cafes, restaurants, quick service outlets and even food trucks are jumping on board the trend and serving mini portions allowing customers to try a bit of everything – catering to a crowd who increasingly suffer from ‘Fear of Missing Out’. The bite-sized food trend of 2017 has definitely been the humble slider. It is believed the term slider came from the American Navy where greasy burgers were called sliders because they could slide around so easily. Unlike the original slider though, sliders have undergone a transformation beyond the basic bun and protein. Now, they have made the move from quick-service (and often late-night) snacks to mainstays on restaurant menus as gourmet creations packed with flavours outside of the traditional American burger. 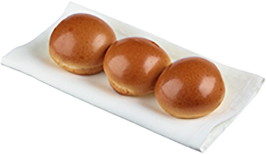 Unlike the large, soft brioche buns or kaiser rolls used for traditional burgers, the slider bun is flat on top, uniform in size, soft and spongey, and importantly much easier to fit in your mouth. 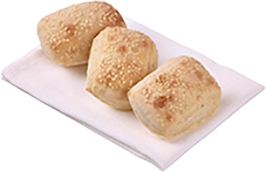 The smaller bites allow creativity and innovation in the kitchen, with chefs often using rustic bread and different types of pulled meat and condiments. 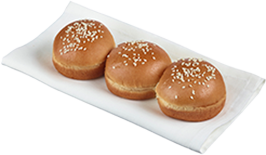 Tip Top offers a perfect Seeded Burger Slider Bun as well as a Brioche Style Slider Bun. 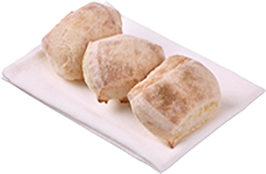 But don’t limit your choice to just two – Speedibake’s white, sourdough, rye, ciabatta and Turkish slider rolls are also the perfect vehicle for a bite sized creation.